Did you already register? The deadline is September 9th! The rocket is ready to launch, the countdown is on…only a few seconds until take-off! The CosmoNaut will wow you, too! With the new price comparison and booking system CosmoNaut traffics is going to revolutionize your work place! Let us inspire you in 8 different cities and get yourself the CosmoNaut also for your work place! 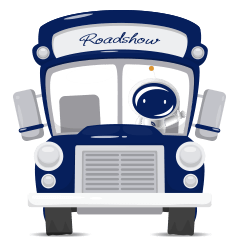 Together with the payment provider BillPay as well as exclusive partners CosmoNaut hits the road. Experience live which flexible solutions and advantages we offer you and put the CosmoNaut to the acid test. Get excited for unique locations! We put together some unique locations, where we want to get you excited for our products. To take a first look at the amazing locations, click on the link of the name of each of them! Meet our team and our partners face-to-face and get all news first-hand. Get inspired and adviced! We offer you an individual solution for your work place. *Because the location is a bit outside of Munich, we offer you a transfer from Munich Central Station. BillPay – der Ratenkauf für Reisen! 3-2-1 Go – the CosmoNaut launches! The attendance is for all travel agencies free but limited. First come first served!